There are definitely people who feel confident and enjoy the sport of swimming as a whole. The UYSWC has plenty of members, all of whom enjoy their training and the competitions, and don’t have any qualms with wearing what they wear and doing what they do. Don’t get me wrong, there are plenty of swimming clubs that exist. Swimming is certainly a sport followed by thousands of people, and it is considered an integral part of the Olympics. Plenty of people are members of clubs, going to weekly training sessions and working on their strokes and speed. Galas and competitions are regular, and competitive swimmers are driven to keep on decreasing their times and beating their opponents. To commemorate the efforts of four sixth formers who swam the English Channel, a ‘100 Mile Challenge’ was created at my school, asking ardent pupils to swim one hundred miles in the school pool. It took me over two years but I was the first to complete the challenge, and, as someone who does not train or compete, I felt proud to have done so. But swimming as a sport is not unpopular just because it is embarrassing for non-enthusiasts to do in front of their friends and peers. Not everyone is interested in competition. I left my local swimming club because I felt that I was being worked like a machine to compete and compete only. I didn’t feel a sense of camaraderie that other people feel in other sports. Each session, we would be told that we were working on a particular stroke. We would swim many lengths and receive a sentence or two of feedback in between a few. This would happen for weeks. Then, out of the blue, a man with a stopwatch would appear. I would finish a stroke and be told, “Keep going, keep going!” because the timer was ticking. The swimmers with the best time would be not asked but required, per membership rules, to compete for the club in forthcoming galas. Instructors regularly changed, and so we never got to know people well. It’s hard to have conversations while your face is buried in water, but any conversations I did have with people were all about times and records. “What’s your PB for this, what’s your PB for that?” people would ask. I had no time for the magazine I would receive each month; half of it was advertising, showing off the latest kit. Letters that young readers wrote to the magazine were always about their PBs and how they had improved over time. I am not saying that improving your PB is worthless, but competing was no fun for me – if anything, it sapped the fun out of my favourite sport. Swimming is something that is very hard to do casually. You can kick a football around in your garden or in the street, stopping for a bar of chocolate and a drink in the middle of it; but swimming requires a pool, which of course most people don’t have lying around at home, and it also exercises the whole body for a long duration. Most of the time, pools with cafes, which allow pool users to sit and eat while dripping wet, are in hot holiday resorts abroad. If you don’t want to compete, what can you do in the pool? 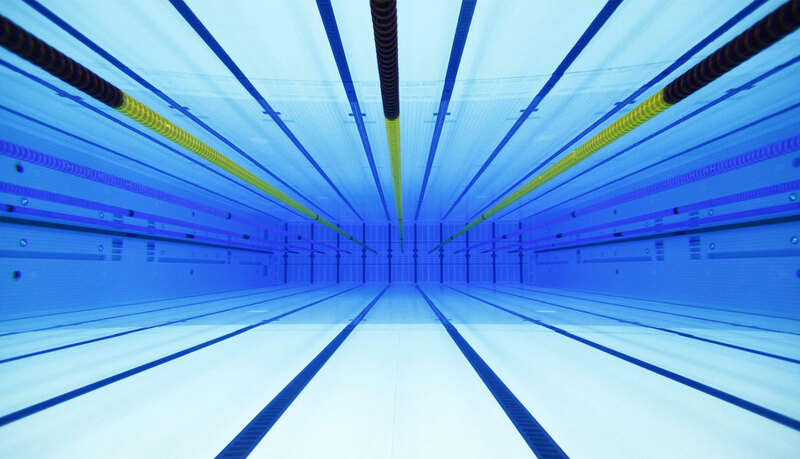 Here is where much of the problem lies – if you don’t want to compete, then you can swim for leisure, but it seems, to me at least, that swimming for leisure just isn’t as fun as other sports. I don’t feel like playing all the games I used to play in the pool with my friends, like ‘Tag’ or ‘Marco Polo’ or fetching those weighted sticks or coins – I’m too old for that, aren’t I? As much as I want to, I’m too old to go on the swings, the roundabouts, the slides and the climbing frames like I did when I went to the park as a child. And after finishing my school’s ‘100 Mile Challenge’, swimming length after length lost its appeal. I had nothing to work toward. When I ask my friends now if they want to go to the pool, they ask in response, “To do what?”… and I don’t know what to say in response. Many times I have been with friends to the pool and ended up standing and talking. Who wants to pay to stand and chat in a body of water when you can do it over a hot drink and biscuits outside? It may be the best exercise for the body but it is also gruelling. I took part in one of the university’s Octopush club’s taster sessions during my Fresher’s Week and I left the pool feeling like a fisherman had gutted me. Swimming, water polo, octopush and other water sports are some of the most demanding activities that are out there, which of course doesn’t make them particularly appealing unless you are unfazed by exhaustion! In summary, swimming is perceived to be unpopular on the grounds of the nature of the clothing that swimmers must wear, and that only training to compete, competing or working out for one’s fitness seem to be the only worthwhile reasons for paying to enter the public baths.